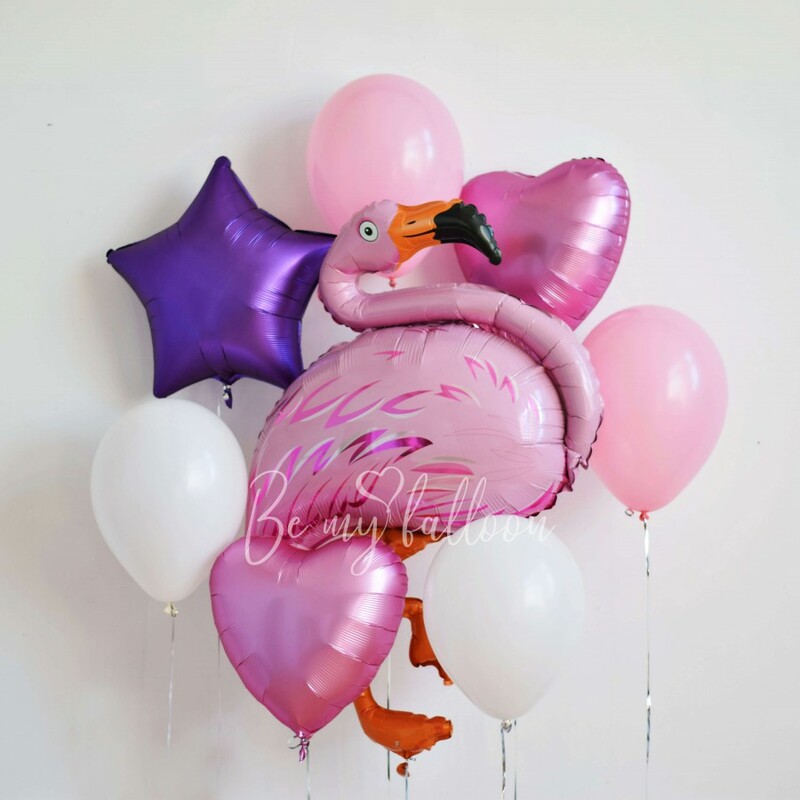 This set consists of balloons of pink shades that will please the tender and sensual girls. You can congratulate your beloved, wife, sister or friend, also this bouquet is perfect for decorating children's holidays and birthdays. Flamingo is one of the favorite characters of kids. The set includes: 1 super shape foil balloon "Flamingo" 27" x 35", 1 foil star 20", 2 foil hearts 18", 4 latex balloons 11", weight.